This contract extension is good for several reasons. First of all, it shows Wyoming is committed to putting a winning product on the field and that Christensen is committed to Wyoming. 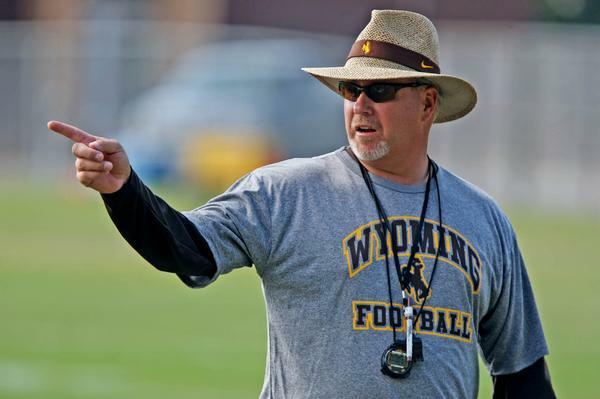 This extension as well as the upgrade in facilities shows incoming players and prospective recruits that Wyoming’s goal is to compete at a high level. Secondly, if a team were to want to take coach Christensen away from us after this season, it puts his buy out at 4 years times $180,000 which is $720,000. If another university wants Christensen it’s going to cost them some money. I would expect short contract extensions like this to happen after almost every season for the next few years Christensen is here to keep the buyout at a high level. Now this could backfire if for some reason things take a down turn and you have to think about getting rid of the coach (see the Heath Schroyer situation) but I’m not worried about that with Christensen. Overall, this is a good thing for the University of Wyoming after being lost in the football wilderness.